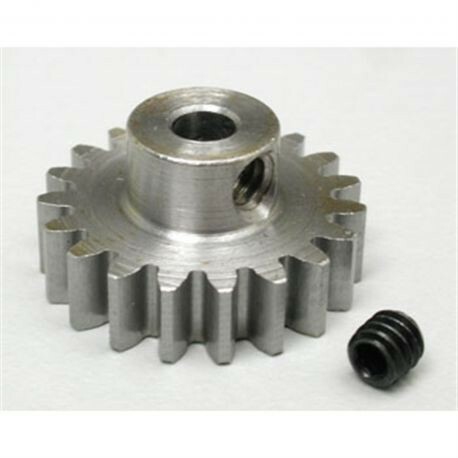 This 32P 19T steel replacement pinion is perfect for adding and mixture of torque and top speed to your Axial-based monster. Coupled with a 32p spur gear, this will give you balanced lower end toque and top speed. Note: The higher the number of teeth, the faster your truck will run. A lower tooth pinion will provide more torque and a lower top speed. This product was added to our catalog on 07/31/2015.